Kevin Pinter is an experienced trial attorney whose primary areas of practice include personal injury defense, construction, product liability, motor vehicle accidents, medical malpractice, insurance coverage, contract disputes, property damage, and general commercial litigation. Mr. Pinter has tried in excess of 50 cases through verdict in all five counties within New York City as well as Nassau, Rockland, Dutchess and Westchester Counties in New York State; New Jersey State Superior Court (Middlesex, Passaic and Somerset Counties); New Hampshire State Superior Court (Grafton County); United States District Court (Southern and Eastern Districts of New York); and San Juan, Puerto Rico. Mr. Pinter has spoken on various litigation topics, both at private client meetings, as well as for professional organizations. 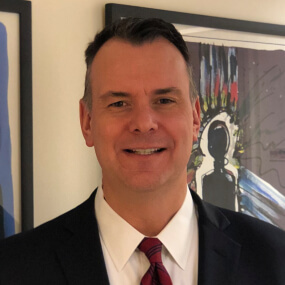 In January 2013, Mr. Pinter lectured as part of a panel discussion sponsored by The Defense Association of New York entitled “The Ethical Use of Social Media in Discovery and at Trial.” In 2018-2019, Mr. Pinter participated as a panelist in a three-part Trial Skills Seminar entitled “Trial Techniques: Interactive Lessons from the Plaintiff and Defense Perspectives” sponsored jointly by The Defense Association of New York and The New York County Lawyers Association. Mr. Pinter has recently become an Adjunct Professor at his alma mater, Brooklyn Law School, where he currently teaches Trial Advocacy.